and a strong and vibrant ministry to men. It is men who will lead the church to a new reformation. It is men who are accountable to strengthening families by modeling God’s Word. I review lots and lots of books these days. I review in a year about a tenth of the books that Tim Challies reviews in a week. One of the things that a reviewer learns is that the book publishing world is massive. I end up with whole stacks of books on all sorts of subjects. I confess to not getting every review book read. The very good ones are not read deeply enough. But a reviewer is a scout. He rides way out front and discovers what lies ahead. Speed is essential. A book reviewer or reader has to know what niche to place a book in. Books fill a number of purposes, some greater or deeper than others. One of my recent reads, in order to post a review, was Building a Ministry of Spiritual Mentoring by Jim Grassi. This is a good second or third book to read on mentoring. I have been increasingly convinced for several years now that spiritual mentoring is vital to the health of individual Christians and the church. I preach sermons. I love preaching and the impact of sermons. But sermons are not up close and personal enough. Sermons speak to all, while mentoring addresses the individual. Mentoring is an indispensible complement to sermons. Paul mentored Timothy. That mentoring took them to many lands and situations. Paul continued mentoring Timothy via his letters after Timothy was assigned to the church in Ephesus. Paul exhorts Timothy to preach the Word, but also to mentor a core group who will then mentor others. “And the things that you have heard from me in the presence of many witnesses, commit these to faithful men who will be able to teach others also” (2 Timothy 2:2). No man is an island. Every man will be mentored. A mentor is a teacher, a personal trainer, a guide. The culture around us, the values of the unbelieving world, the sinful human nature, and the devil are all out there offering mentoring at discount prices. It is highly questionable whether someone can be saved, but not mentored, or discipled. No doubt but that women and girls in the church need good and godly sisters-in-Christ to guide them along the way. Paul tells Titus that the older women (and “older” is relative to the average age in a church) are to be teachers of good things to younger women. Women’s ministries are vital, absolutely essential, to the life of the church. In an effort to offset the feminist and egalitarian impulses in the church world, some Christians (alas, many of us Reformed folk) have overly limited the teaching role of women. The motive was to prevent women from being pastors and exercising authority over men. The excess was in stifling the needed role of women mentoring women. But men are the biggest potential failures and losers in Christ’s kingdom. Satan has many disguises that lure men toward passivity and feminization or to a warped masculinity and ungodly totalitarian style. Men are posers and are masters of deceit. Even though Jesus came into this world a male and gave us a model of true Masculinity, we men fail. Hence the importance of mentoring. This book, Building a Ministry of Spiritual Mentoring, contains lots of guidelines, suggestions, and methods for implementing successful mentoring programs in the church. That is why it is a good second or third book. Jim Grassi’s prior book is titled The Spiritual Mentor. That book, along with many other current books, give more of the content and methods of spiritual mentoring. One doesn’t have to get a book with the word “Mentor” in the title for instruction. Any book or Bible study that faithfully lays out patterns for Bible study, doctrine, prayer, and practice will work. After one has actually either started mentoring or found a mentor, then books on building these programs in the church can be used and implemented. For several years now, I have been burdened with the topic of mentoring. Part of what the Lord has shown me is that I may not be the one who will be doing the mentoring in a way that I want to see it done. Pastors and preachers cannot always be the personal training mentors for every man and boy in the congregation. We preach to equip the saints for works of service. All in all, I recommend this book. I received it free of charge as a review book and am not obligated to endorse it. Mentoring or being mentored is more important than reading books about mentoring. But thankfully, we are seeing more and more books to help us wherever we and our churches are in this matter. “Barn Burning” by William Faulkner. I was going to assign it. Somehow, the time just slipped away. And it hurts down deep knowing that we haven’t walked through this story. We were not there with a scared young Colonel Sartoris Snopes, called to the witness chair, interrogated by the men of the community at the country store with those shelves “close-packed with the solid, squat, dynamic shapes of tin cans whose labels his stomach read.” Just a boy, knowing the guilt and ways of his father, carrying in his veins the blood and in his person the name. Rather it was the names, both rooting him deep in the Southern soil, in the history, in the primeval fight that’s been goin’ on since the first man got something more, something better, and the second just watched, seething, longing, but not for whatever it was, a cow, a woman, a piece of bottom land, but surging with anger and wanting to destroy. And it all was swirling around and around until it spilled out in a fire, or a killing, or fight started by the one who watched the other get what he didn’t and maybe couldn’t have. That was there, lodged in the very center core of the boy. Snopes, yes Snopes, that was his name. But the other part of his name, Colonel Sartoris, bestowed after the colonel who got voted out of his own regiment, came back, raised another troop, fought Yankees, carpetbaggers, friends, neighbors, and life itself until Redmond kilt him. Ab Snopes, the father, knew the colonel, worked for him or at least near him. The boy carried the name. Both names weighing on just a boy. I didn’t assign it. And some will think “We don’t have to read it. It won’t be on the test.” But Faulkner is there on every test. He is there reminding us of “the old verities,” and of “man not only enduring, but prevailing,” and of “grandaddy said,” and of “that fierce pull of blood” that is so deeply intwined in this story, and a thousand other little rocks jutting out on the cold embankment we climb, trying to get out of this. Faulkner is layered, rambling, repetitive, wordy, obtuse, obscure. Hemingway sneered, “Poor Faulkner. Does he really think big emotions come from big words? He thinks I don’t know the ten-dollar words. I know them all right. but there are older and simpler and better words, and those the ones I use.” Ernest always lashed out when he was jealous. His characters were without family, roots, land, faith, and real love. Vermouth, even by the barrel, could not substitute for truth. Hemingway wrote adventure stories mostly. 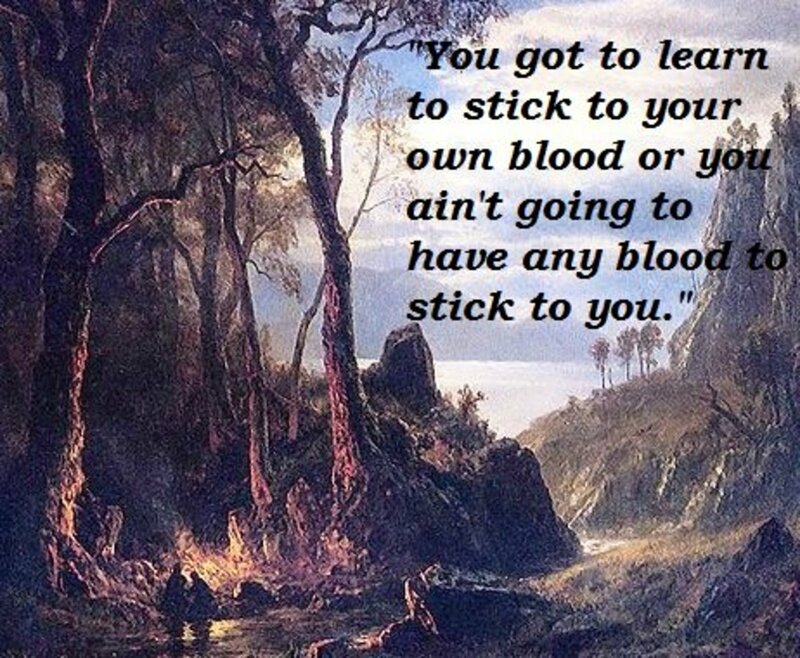 Faulkner wrote literature. Faulkner is assigned. “Barn Burning” and the rest of the stories, and the novels, and Oxford, Mississippi itself are all assigned. I’ve been working on that same assignment since 1973, failing, but returning. The young boy, Colonel Sartoris Snopes, disappears at the end of the story, and unlike so many Faulkner characters, he disappears from Yoknapatawpha County, and that whole postage stamp of a world forever. Faulkner didn’t create characters. They were already there, and he just tried to catch up with them and hear what they were saying. But the boy escaped. I wonder whatever became of him. Literary scholars, men of letters, poets, and true Southerners: Where would I be without the Agrarians? The school year is basically over. All that remains are the tests. Yet there are so many, many great writers, stories, poems, and discussions that await us. The Agrarians are defining of Southern literature. Starting in the 1920s, a group of literary scholars began meeting on and off campus around Vanderbilt University in Nashville, Tennessee. On one occasion, John Crowe Ransom (fourth from the left above) gave a poem to his bright student Donald Davidson (fifth from the left). Iron sharpens iron and so one friend began sharpening another. Other young literary students joined the crowd, including poet and literary critic Allen Tate (first from the left) and Robert Penn Warren (third, in the dark suit, and standing), who wrote great novels, poems, and biographies. For a time, they were known as the Fugitive Poets. They were writing some of the best modern poetry around. 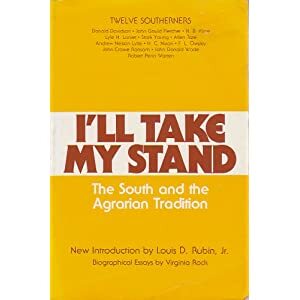 Then they became known as the Agrarians, after the publication of I’ll Take My Stand, which is one of the greatest books ever. Some of them, including Cleanth Brooks, charted a new approach to literature called New Criticism. The Agrarians poured out a host of literary studies, poetry, novels, and other writings. Their ranks included such other writers as Andrew Nelson Lytle, Frank Owsley, and Arkansawyer John Gould Fletcher. Those they influenced include such brilliant people as Jesse Stuart, Richard Weaver, M. E. Bradford, and Louise Cowan. Way down on the list of those influenced by the Agrarians you will find the name of George Grant, and further down, my own name. Here is a powerful poem by John Crowe Ransom, one of the finer minor poets and brilliant literary scholars of the recent past. Don’t be fooled by the humor and innocence of it all. This poem ponders a mystery that none of us can fathom. 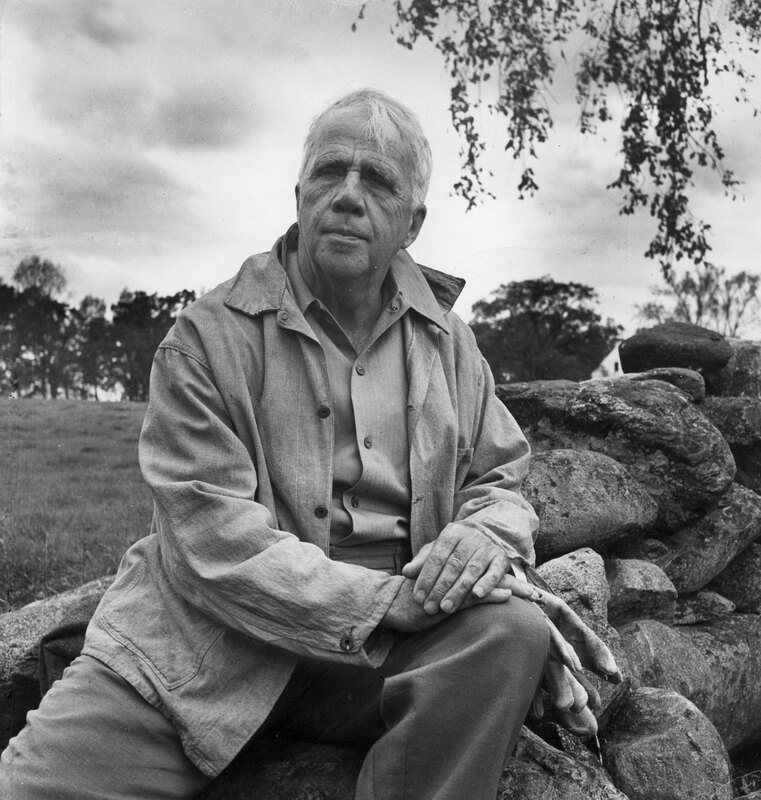 A wonderful collection of many of the poems of Robert Frost. The school year is winding down. There are only three and half days to go, and most of the time will be spent taking semester tests. My students are tired, yet busy. With so much to do, I felt it necessary to only assign two books in the past weeks or so. One is The Old Man and the Sea by Ernest Hemingway. That is a quick read, but a powerful one. A reader might argue that it is Hemingway’s best. 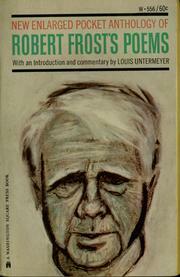 The other book is Robert Frost’s Poems (as seen above). This edition is edited by one of the great men of letters of America past, Louis Untermeyer. I ache when thinking of all the poets and poetry we did not cover, but Frost will have to suffice. He stands tall across the pantheon of American writers. He has been America’s most popular poet for decades. Some of my students have asked, “How many of the poems should we read?” There is always in the student mind that false assumption that the literature teacher is assigning a quantity of material to be read. If I say “50,” they are relieved and dash away to start counting their readings. I never give a number. I say, “Immerse yourself in Frost’s poetry.” Then I tell them that I have them all and have read many of them repeatedly. I think a fair student could survive in life if they read all the poems in this book between 2 and 20 times (before they turn 25). This photograph, which was on the cover of LIFE magazine, probably was taken in the early 1960s when Frost was in his mid-to-late 80s. I read lots of Frost when I was in high school. DeKalb, Texas was not quite New England, but walking through the pastures and woods around my home certainly heightened my understanding of some aspects of Frost’s writings. Like many, I confusedly thought him to be a “nature poet.” I did not immediately grasp the human conflicts, the mysteries, darker truths, or philosophical underpinnings of his verse. A little over forty years after I started liking Frost, I find him deeper and better than the man of rhyming words I knew when I was in high school. We have been doing some devotional reading in my Humanities class during the last few weeks. We are, after all, a Christian school. Our mission is to grow our students in their walk with Christ. So, we want to read books that reinforce our Christian values and worldview. It also happens that this year’s Humanities class is “The American Story.” So, the writers are Americans. Two of our recent devotionals are The Great Gatsby by F. Scott Fitzgerald and A Farewell to Arms by Ernest Hemingway. If these two books don’t shake the minds and souls of my students, I don’t know what will. If these two books don’t cause them to feel an inner ache for beautiful literature, I don’t know what will. If these two books don’t bring the Christian worldview into clearer focus, I don’t know what will. Of course, if you know anything about Fitzgerald and Hemingway, you know that neither was a Christian. Neither was religious. Faith issues are far from the texts of their writings. Personally, they were both ungodly and immoral men. (See my essay Drunken Writers.) Both were bad husbands; both fell short as fathers; both struggled with alcohol problems; both strayed far from any religious roots they may have had; both were bitter; both were cynical; both had false values; and both came to sad and tragic ends in their lives. They were friends for a season. The friendship began at a point when Fitzgerald was on the rise as a writer and Hemingway was looking for a break. When it was to his advantage, Hemingway sought Fitzgerald’s friendship. But Hemingway was jealous, vindictive, and unappreciative of friends. Fitzgerald paid a price for having befriended Hemingway. Two young brilliant writers who emerged out of the 1920s: Ernest Hemingway and F. Scott Fitzgerald. And yet, both these men were incredibly brilliant. Both honed the writing craft. Both changed American fiction. Both hit the world of literature with freshness and power. And, both are still read and readable, still relevant and compelling, still speaking and tugging at the heart of their readers. And both men point us to Jesus Christ and the Christian life. Fitzgerald and Hemingway show us what life is like apart from a Christian foundation. Both show the emptiness, the futility, the ugliness, and hopelessness of the life, thinking, and worldview of the unbeliever. As Dostoevsky pointed out just prior to the time of Fitzgerald and Hemingway, if there is no God, everything is permissable. The Great Gatsby came out in 1925. It showcases the “Roaring 20s” in all their glory. The glitz, glamour, wealth, and pursuit of fun are all part of the novel. It is the story of what money can do. It is the story of money as god, of romantic love as god, of life in the present order as divine. Jay Gatsby stares each night at the green light across the bay. That green light is where Daisy Buchanan lives. Gatsby’s life quest has been to achieve the love of Daisy. In the past, he almost had her, but now he doesn’t. He uses money, parties, friends, deceit, and any and every means to reach Daisy and win her over. The fact that Daisy is married is irrelevant. Daisy’s marriage and life are pretty sordid also, but its the sordid life of the rich and immoral. The Great Gatsby is also a picture of the American tendency toward obsessions, particularly material obsessions. Almost every character is trying to get ahead, or they are already there and are bored and wicked. “Money will win Daisy to you,” thinks Gatsby. Money will buy you happiness, but it will take lots of it. Morals are passe, even in regard to such matters as golf scores. The Great Gatsby teaches that sin destroys. Sin damaged every character in the book and killed two of them. Gatsby, who was handsome, talented, and filled with possibilities, was far from great. Tom and Daisy, in the powerful judgment of Nick Carraway, were “careless people, Tom and Daisy- they smashed up things and creatures and then retreated back into their money or their vast carelessness, or whatever it was that kept them together, and let other people clean up the mess they had made.” Nick Carraway was a largely passive observer who did little or nothing to avert the multiple tragedies in the story. The story is powerfully told. The prose is beautifully crafted. The characters live. Any Christian reading this book should be on his knees (at least figuratively) at the end, giving thanks to God for saving grace. Idolatry is an ever present danger. Years ago, I read Herbert Schlossberg’s brilliant book Idols for Destruction. The idols he warned of are destined for destruction, but they threaten to destroy us in the mean time. The Great Gatsby deals with having money and sexual desire as false gods. Marriage is wrongly desired by Gatsby and despised by Tom. The missing element in the book is grace and redemption. Fitzgerald saw so much so accurately, but he didn’t know or desire grace. The Christian can find it by it very absence in this book. Apart from Christ, The Great Gatsby would be all the Gospel we could have. The green light, blinking across the harbor, would be beckoning us to a false hope and certain destruction. Ernest Hemingway changed American writing with his first novel, The Sun Also Rises. The action is limited, the characters are twisted, and the plot is uneventful, but the style and the philosophy captured a generation, and then another, and then another. Hemingway wrote prose that was crisp. And it was clean. And it was good. Then he filled his cup with wine, and wrote another sparse sentence. The next one was shorter. He then gulped the last of the wine in the cup. He took the bottle and emptied it. He swished the cup around. The red wine buoyed up in a circle, and then it calmed again like the sea at midnight. It was good. You get the point, I hope. That is good. As easy as it is to parody Hemingway, and as safe as it is since he is dead, he was a powerful writer. He took pains over his craft. Add to that, Hemingway lived out adventures, edged out to the extremes of life, took chances, and nearly got killed many times. Hemingway personified everything identified with testosterone driven, gutsy, reckless, unflappable, unflinching, tough masculinity. Almost any man would feel a bit inferior if compared to Hemingway. He was in World War I and was wounded. He was a reporter in the Spanish Civil War and World War II. He killed at least one of about every animal that has existed, including lions and great antelopes. 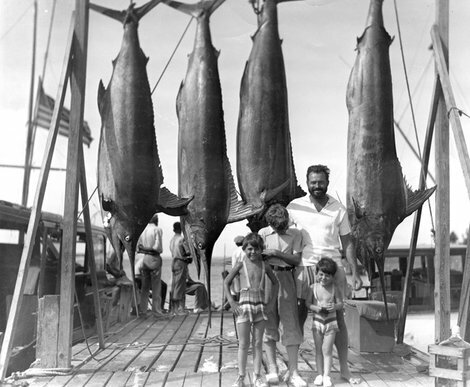 Hemingway and his 3 sons with their catch after fishing. He fished. He could trout fish in the fast moving streams of the northern United States or deep sea fish off the coasts of Cuba. He lived in Cuba and Paris and Key West Florida and Idaho. He survived two plane crashes. He boxed. He enjoyed living wild. He enjoyed women and married four of them. He also liked cats and is still known for the six clawed cats that can found at his Key West home. A Farewell to Arms is set in Italy during World War I. It is a powerful war novel and anti-war novel. Next to All Quiet on the Western Front, it is one of the best fiction works on World War I. It is the story of a American who was an ambulance driver in the Italian army. (Like Hemingway during the war.) His name is Frederic Henry, and he is wounded. (Like Hemingway.) While recovering from his wounds, he meets a nurse named Catherine Barkley. Many bandage changes and many more drinks later, Frederick and Catherine fall in love. Love in the midst of war is a powerful theme, but you should know it is not going to go well or end with the lovers living happily ever after. The war goes badly for Italy. On the historical side, one wonders why Italy got into World War I. Basically, Italy lost the war, but was on the side that won. World War I was brutal and ugly. Most of what we know is tied to the Western Front between France and Germany, but that was only part of the conflict. World War I was insane. The origins are a study in political insanity. (Barbara Tuchman’s The Guns of August is unsurpassed, although I really want the new book Catastrophe 1914 by Max Hastings.) After the political insanity, the military insanity followed and continued for four years. The world is crazy and chaotic and deadly. The answer is to abandon the world, to escape from society and the war. Frederic and Catherine leave the war zone and go to Switzerland. For a time, the life there is of love and beauty. The young amorous couple live a life of bed, bath, and beyond, with vermouth. But romantic love and happiness can’t last and it doesn’t. If there is no God, no Gospel, no saving work of Jesus Christ, then you better pick up your new Bible, the works of Ernest Hemingway, and start living and applying (and drinking). But there is no hereafter, only death. Until then, live. Frederic Henry is Hemingway’s voice telling us what the alternative is to the Gospel. 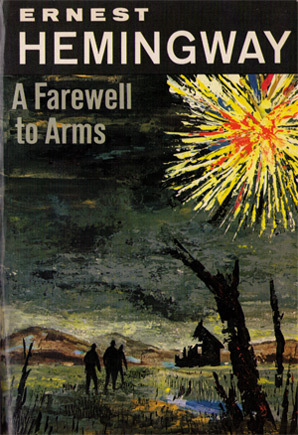 I hope to get this edition of A Farewell to Arms. It contains all the many alternate endings of the novel. “Mission Drift” could very well be the title of a study of American history. It is the apt description, and often the epitaph, of many Christian organizations. It is hard to find a church, a Christian mission movement, or a Christian foundation that has both been around for a long time and that has not drifted away from its roots. Mission drift can be a minor deviation, but going off the road even a little can be disastrous. Sadly, many cases are not minor deviations from the original intent of organizations. Instead, organizations often totally abandon the principles and goals of the founders. We should never be surprised when weeds grow in a garden. It takes no special act, no careful planning, no deliberate intervention for this to happen. Years ago when we had a garden, we would take a vacation during the summer. When we returned, the garden was often gone. The same happens in institutions. Another case study was the Christian Children’s Fund. Started as a Christian organization to help orphans, it continued to be focused on orphans, but totally abandoned its Christian roots. At least this organization honestly faced the way their mission had changed. In 2009, they changed their name to ChildFund International. The temptation for Christian organizations is to quietly ease Christian distinctives off the mission and methods. In my school, for example, we could still teach great classics, logic, rhetoric, Latin, and other topics and tell them them well if we backed off our Christian foundations. The temptation would be to accept the financial gifts while consoling ourselves in still being able to weave in a Christian word or two here or there. The temptation to sideline the faith is not strong to me at the moment, but no one is sitting across the table writing out that check for one million dollars. G. K. Chesterton said, “The Christian ideal has not been tried and found wanting; it has been found difficult and left untried.” Often, however, it has been tried, found difficult, and finally toned and watered down. The danger of muting the faith can be individual, for we might be a little more popular and a little more accepted if we just didn’t talk about Jesus. The danger can be professional, for faith commitments can dead-end a job application. It can be political, and there have been those politicians who would say, “Personally I believe that abortion is wrong, but I can’t let my personal convictions interfere with policy.” (I don’t think too many still say they believe abortion is wrong.) It can be organizational. 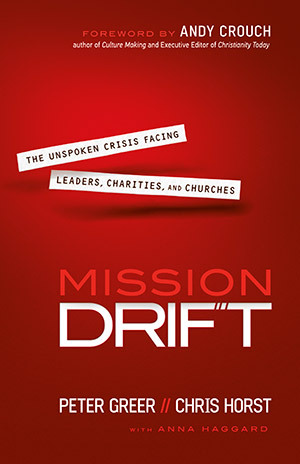 This book warns repeatedly and anecdotally of the danger of mission drift. It happens all too often. No organzation is safe from the danger. The Book of Revelation begins with warnings and exhortations being given to seven churches in Asia Minor. Some of those churches were in bad shape. Some were doing really well. Most were a mix of good elements in their doctrines and practice with some leaven threatening the whole lump. But none of those particular churches are still around. The groups from the Reformation who penned great documents like the Westminster Standards or the Heidelberg Catechism drifted. Harvard sold out to Unitarianism early on. But Yale, which was started to offset Harvard’s drift, and Princeton both abandoned Biblical Christianity. Mission Drift is a cultural commentary on the Book of Hebrews. The warnings are frightening, but this is not a call to abandon hope. It is a book about vigilance, about being forewarned and, therefore, forearmed. I received this book as a review book. Upon getting it, I was less than enthusiastic about reading it. I opened it with a sense of obligation, but found the book incredibly interesting. I found myself repenting, giving thanks, being concerned, and being reminded. If you are on the board of or a part of any Christian organization, you need to read this book and heed its lessons.